Green's Mill in Sneinton has won a top national award for its 100% organic stoneground wholemeal flour. Now in their 24th year, the Soil Association Organic Food Awards are the most prestigious and widely respected in the organic food sector. 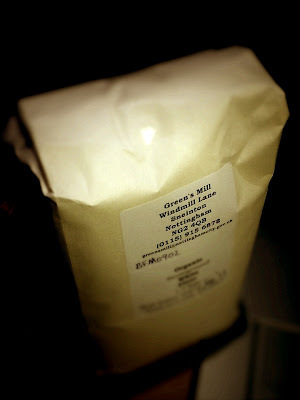 The judges said the Green's Mill flour had an “intriguing colour” and a “nice nutty flavour”. David Bent, the miller at Green’s Mill, produces seven kinds of organic flour. The two most popular are stoneground wholemeal flour and stoneground white. The others are, stoneground brown, stoneground wholemeal Spelt, stoneground white Spelt and stoneground medium oatmeal. All the grains, except for the oats in the oatmeal, come from one farm, Hungary Lane Farm at Sutton Bonnington, just 11 miles away.